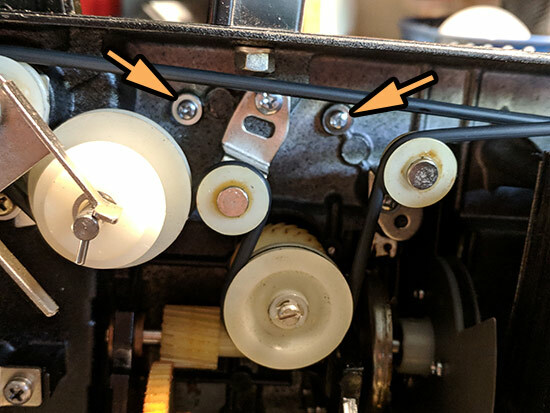 In the process of disassembling the autofeed Assy on my Elmo K-100SM a spring fell out and I can't figure where or how it needs to go. I haven't worked on one of the projectors before so I could use some help. If any of you have this projector perhaps you could take a look and see if you can see the spring or take a picture and describe how it works. I'm thinking the spring is connected some how to the small guide pictured next to it below...but how? 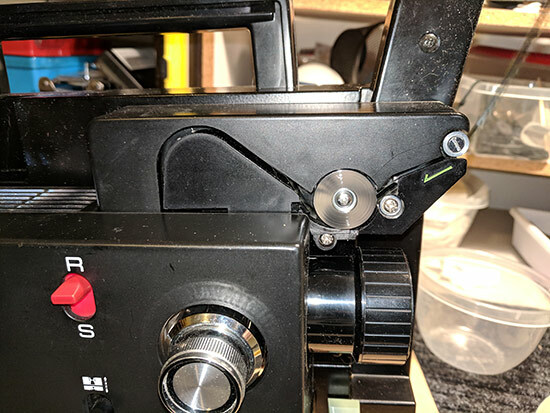 My best guesswork is that this torsion spring is used to "push" that guide up,pinching the film to that feed wheel when threading so the film can be pushed into the gate when threaded. this guide should be disengaged during normal projection. Seen similar mechanism in my Fujicascope dual 8 projector. Hope this helps. That's what I'm thinking too Nantawat...but just need to know where to connect it. Here is the projector all put back together. I ran a film through it and it threaded fine. Really LOVE this kind of design, when you simply unscrewing something looking innocent then PARTS (sometimes half a dozen of them) suddenly flying out - literally all over the place. And you spent the rest of the day finding those runaway parts&figuring out how to put them back together,pretty sweet. 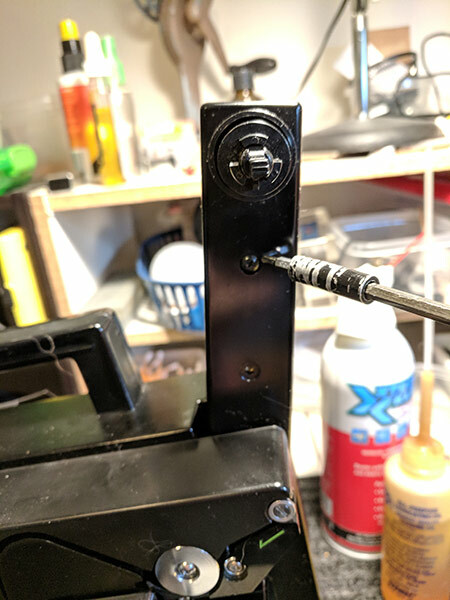 TECHNICAL TIP: It turns out the whole auto-feed section is connected to the chasis by 2 screws on the inside back of the projector. I think this projector is going to need new belts... so next time I take the back off I'll take a picture. This might help someone in the future. Janice your projects, and DYI's are always interesting! Obviously we all enjoy projecting films, but the other fun part of this hobby is working on the machines themselves! Some are simple fixes while others can be quite complex. I look back on the machines I really messed up, and realize it's given me better knowledge on how to approach a repair or upgrade. I wanted to help you here Janice, but believe it or not the K110SM is totally different it seems. I looked in vain for this spring but couldn't find to take a picture to help. Glad you figured it out and have it documented now! I checked out the belts and they seem in good shape so no need to replace. 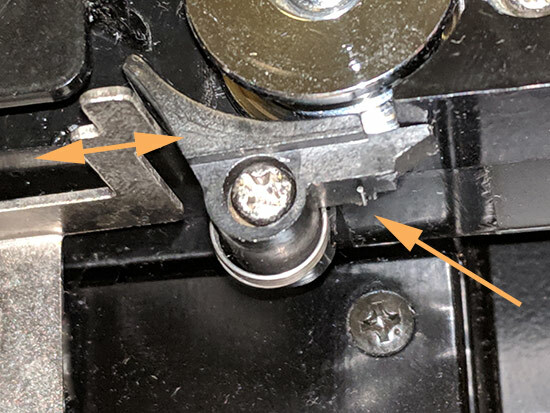 Here is a picture of the 2 screws that hold the cover plate of the auto-feed. If you have to do any work on the inside of the supply reel arm you will have to remove the auto-feed cover plate first.